Smaller, and slightly darker than Curlew, with faster wing-beats. 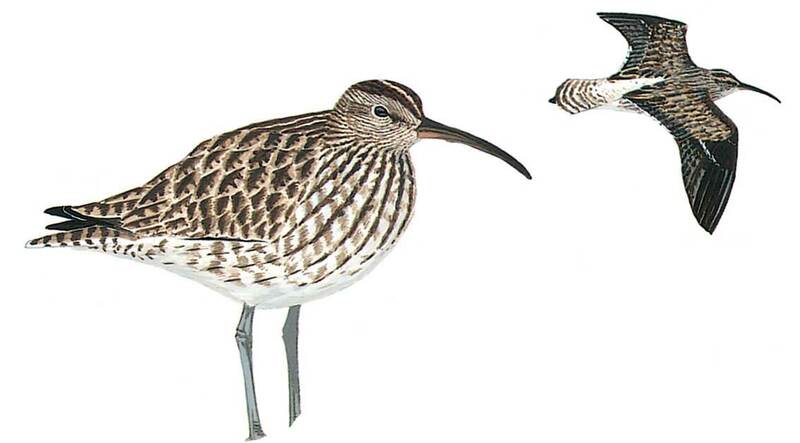 Bill usually shorter and more decurved near the tip (though overlaps with young Curlew in length), dark crown with pale central stripe and dark eye-stripe give head more contrast than in other curlews; flight-pattern similar to larger Curlew and slightly smaller Bar-tailed Godwit (note bill-shape of latter). Flight-call an important character.